Click here to download the November 2018 to April 2019 Walks Programme in PDF format. We normally meet at the start of a walk. If you do not have transport, please contact the leader, who may be able to arrange a lift or advise on public transport. If you are intending to use public transport, it is important to check all train and/or bus times before travelling It is also a good idea to let the leader know in advance in case your bus or train is late. Most people bring their own picnic lunch, but see individual walks entries for possibilities of cafés or drinks at pubs. Many pubs are closing these days, and pub stops mentioned in the programme may not be available at the time of the walk. Do ring leaders for details of the second half of figure-of-eight walks which return to the start point at around lunchtime. 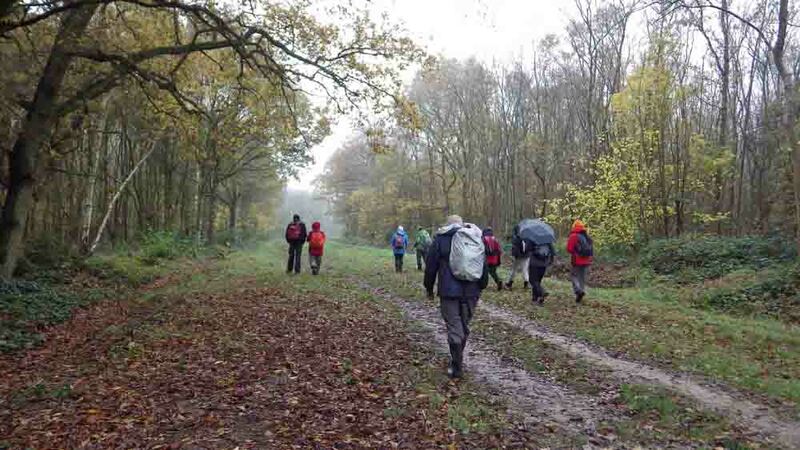 Non-members are welcome to join us on our walks. We do not charge but if you wish to continue to walk with us regularly you will be expected to join the Ramblers’ Association after 2 or 3 walks. Dogs are allowed at the discretion of the leader – please check beforehand. See FAQs for further information on walks. See Walk Programme Map to see a map of where the walks are occurring.